What does IOB stand for? IOB is the abbreviation of the full name of our organization – Israel Olive Bond. How do you define the organization? We are an Israeli Zionist farmers’ organization. Together with our many worldwide loyal partners, Jews and Christians alike, we struggle against the Fundamentalist Muslims’ satanic plan to take over the control of Israel’s agricultural lands. At the same time we are helping farmers in Israel, particularly in Galilee, in their struggle against BDS, which is working tirelessly to boycott Israeli food products in world markets, with the satanic intention of strangling Israeli agriculture. We combat this by sending the products from our Logistics Center in Israel directly to the home of every family of Israel lovers all over the world. What is the difference between you and the JNF? Historically, the JNF played a vital role in promoting the development of the State of Israel, and over the last decades it has carried out many reforesting activities all over the country, as well as projects in the fields of education, developing tourism and recreational sites in Israel and more. Our purpose is to save the land, by preventing Jewish land falling into the hands of fundamentalist Muslims, and by directly assisting farmers in the Israeli olive sector in many ways. We want to ensure that Jewish farmers can make a decent living from their land and thus be able to resist the predations of Muslim speculators who try to tempt them to sell their land to Muslims. While the JNF works hard to disseminate information about the anti-Semitic nature of BDS, we fight this threat to Israel’s future in our own unique way, by working with dozens of small food producers in Israel, displaying their products in our Online Shopping Mall, handling the fulfillment of orders from households of Israel-lovers worldwide, and sending the products directly from our Logistics Center in Israel to their homes, wherever they live. 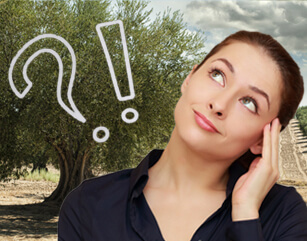 Why do you focus on olive trees? From where does Israel Olive Bond conduct its activities? Our activity focuses mainly in the northern part of Israel, Galilee, where about 47% of the land is already under Muslim control. Our head office is situated in a Galilee village, near our olive plant nurseries and greenhouses, so that we can prepare the plants for their “birthday” in the Galilee climate. All our olive groves are in Galilee, under the care of teams of farmers. The same goes for our olive press, and it is only our Logistics Center, where we handle Fulfillments and pack our Packages and olive oil products for you, that is located near Ben Gurion Airport in the center of the country, from where we ship the products directly to your home. Who are the employees of Israel Olive Bond? We honor the principle of Jewish labor and employ only Jews. Our teams of farmers are Israelis who live near the groves. They have all served in the IDF (Israel Defense Forces), some of them in very senior positions, such as fighter pilots, commandos, artillery forces and so on, and they continue to do reserve duty each year, in between periods of calm and their regular agricultural work in the groves. The Fulfillments work is done at our Logistics Center, where we pack and ship our various Packages and olive oil products. There we employ dozens of Jewish workers with disabilities, some of them Holocaust survivors, and the work we give them, thanks to you, is their only means of earning a respectable living in a supportive and pleasant atmosphere. The only exception to our principle of employing only Jews is in our olive press, which is managed by a Christian family with hundreds of years of experience in the production of olive oil in Galilee. In this way we honor another value of our work, regarding close cooperation and development of friendly ties in the Land of the Bible between Israeli Jews and members of the Christian community living in Israel. What is the significance of joining the Israel Olive Bond? Please visit our CONTACT US page, for detailed info relating to the different means of communication you can use to contact us. What is BDS and how do you oppose it? BDS (the acronym for Boycott, Divestment and Sanctions) is the umbrella organization for dozens of anti-Semitic groups who make up a wide-ranging campaign of aggressive incitement against Israel, which denies Israel’s right to exist. Many non-governmental organizations and public figures see BDS as part of the new anti-Semitism and even compare it to the Nazi persecutions which began with an economic boycott of Jews. The main damage that BDS causes to Israel focuses on its violent removal of Israeli products, particularly food and agricultural products, from the shelves of tens of thousands of stores (from small grocery stores to large supermarkets) all over the world. This direct action has led to severe damage to Israel’s agricultural exports sector, which in recent years has declined by 30%, and continues to fall. Israel has suffered real harm as hundreds of small food factories have been forced to close or found themselves in real financial difficulties, resulting in thousands of workers losing their jobs or constantly facing the risk of being without work. We find this dangerous threat to the existence of Israel through our partnership with Israel-loving Jewish and Christian Zionist families worldwide, who order high quality food products made in Israel through our Online Shopping Mall, and receive the products directly shipped from our Logistics Center to their homes. Where are the olive groves located? Are the groves near places mentioned in the Bible? Who works in the olive groves? What species of olives are grown in the groves? Where does the sapling for my personal olive tree come from? The sapling for your tree is grown in our nursery in Galilee, so that it is fully adapted to the climate and soil conditions of that area. With God’s help, it will grow and flourish for hundreds and even thousands of years. How much oil does my tree produce each year? On average, each tree produces enough fruit each year to generate one gallon of olive oil. Can I buy all the oil from my tree? Yes, you can do this by visiting our Online Store and buying one or more of the olive oil Packages for sale there, we will make sure that the olive oil we sent you is from your personal olive tree. Can I adopt a row of trees in a grove for members of my family? Certainly, you can do that by Purchasing Here a number of Joining Packages and your allocated trees will be next to each other. I want to adopt a number of trees for my Church / Synagogue/ place of work. How do I do that? You can adopt up to 15 trees By Purchasing Here up to 15 Joining Packages. To purchase more than 15 trees please contact Rachel at our Sales Department as sales@IsraelOliveBond.com and she will be happy to deal speedily with your request. Where is my personal olive tree located? Details about the exact location of your adopted olive tree can be found on the map of the relevant grove, that you received with the other items in the Joining Package sent to your home. The map indicates the row number of your tree and its number in the row, and gives a description of the location. Is my personal olive tree located in a grove close to places mentioned in the Bible? Certainly! All our olive groves are close to places where there was Jewish life in Biblical times, and that are mentioned in both the Old and New Testaments. So it is really exciting that you, as a real friend of Israel, by joining our plan, are enabling the continuation of Jewish farming life in the places where Jewish farmers lived in Biblical times. For example, our Megiddo grove is in the Jezreel Valley in Lower Galilee, land that was settled by the Tribe of Menashe, and where many Biblical events occurred. In fact, the grove is located on an area known as Armageddon, close to the 4000-year old Tel Megiddo, mentioned no less than 38 times in the Bible, and near Mt. Tabor ( Mount of Transfiguration). This was the site of the battle between Barak, under the leadership of the Israelite judge Deborah, and the army of Jabin, commanded by Sisera, in the mid 12th century BC. It is believed by many Christians to be the site of the Transfiguration of Jesus. Can I visit my personal olive tree next time I’m in Israel? Can I take part in the olive harvest and pick the fruit of my tree? Yes, each year we welcome visitors to our groves from all over the world, sponsors of olive trees who come to take part in the harvest. We take them to their personal olive tree(s) and help them to harvest the olives. Can you send me a photograph of my personal olive tree? Yes, we will soon introduce this service and you will be notified. Can I view my tree online? You can View Here the grove where your tree is located. We will soon introduce a service where you can operate our Webcam from your own computer and point it directly at your own personal tree. Can I send you a prayer or blessing to hang on my tree? We will soon introduce this service and you will be notified. Can I ask you to erect a sign next to my tree with my family details? How can I find out what is happening to my tree? Don’t worry, we will send you regular updates by emails and periodic reports about your tree. It is important for us to keep you informed. Where do you produce the oil obtained from the olives harvested from my tree? Is the oil that I receive actually from my personal tree? Yes. In order to have sufficient olives for the oil collection process, we harvest your tree along with other trees around it. The container of oil you receive from us does contain oil from your tree, blended with oil from other trees located near your tree in the grove. Note the label on the back of each container of oil sent to you and bearing a unique 7 digit number. On average, each olive tree produces enough fruit each year to generate about one gallon (About 4 Liters) of olive oil. Can I buy all the olive oil from my tree? Yes, you can do this by going to our Online Store and buying one or more of the olive oil Packages for sale there, we will make sure that the olive oil we sent you is from your personal olive tree, at time of checkout process after you place your order at our online shop we identify your exact tree number. What happens to the oil made from my tree if I do not buy the whole amount produced in a year? Thanks to the high quality of our production and the hermetically sealed special packaging we use for our oil, it retains the freshness of the day it was harvested and pressed. Any oil that you do not purchase is bought by others who are not partners but who visit our Online Store, or by Partners who want to purchase more oil than their personal olive tree yield. Since most tree adopters purchase all the produce of their olive tree each year, there is usually not enough stock left to meet all the demand, so that any oil from your tree that you do not buy will be snapped up by other Partners. Must I buy all the oil produced from my tree immediately following the harvest? No, we keep for you the oil produced from your tree for a whole year following the harvest. You can purchase it all at once or in separate amounts over the year, as you wish. Our high production qualities and special hermetic packaging ensure that our olive oil can be used for up to two years after the harvest. So even if you do not purchase the whole amount over the year following the harvest, we still have at least another year to sell the oil in top quality condition to interested customers visiting our online shop. How is the oil produced from the fruit of my olive tree? The process of extracting oil in our olive press is a unique combination of Biblical agricultural methods with state of the art technologies: In most olive presses, the olives are crushed using modern automatic systems, but for this important stage we use heavy millstones, exactly as in Biblical times. The ancient stones were found several years ago during excavations of a Second Temple period olive press in Galilee, and sent to our facility. Does the oil produced from the fruit of my olive tree meet official standards? Certainly! The whole process of extracting and collecting oil at our olive press in Galilee is under strict regulation and meets all the standards. The whole process is carefully supervised by professionals at the facility and by representatives of the Israeli Ministry of Health. In addition, our oil production is regularly examined by the Israeli Ministry of Agriculture. Our compliance with stringent standards ensures the rare quality of the oil produced from your tree, and for that reason our olive press has been awarded the Seal of Quality Approval by the Ministry of Agriculture. This seal (which is stamped on your container of olive oil) is granted to a very limited number of olive oil facilities in Israel. Also, our olive oil press is under the supervision of the American FDA, and holds official approval number. Thanks to the quality of our olive oil, for several years running we have won prizes at competitions all over the world, including the Grand Prestige Gold medal. Is the olive oil produced at your facility approved by the FDA? Certainly! Our olive oil press is under the supervision of the American FDA, and holds official approval number 130902098674. Is your olive oil kosher? Yes, our groves and our olive oil press are under the supervision of the Galilee Rabbinate, as shown by the Kosher stamp on every container of olive oil we produce. What is the expiry date for the oil produced from the fruit of my olive tree? Two years from the date of production. The expiry date is stamped on your container of olive oil. How much oil do I actually get? When you become a Partner, you receive a Joining Package which includes a can with about 17 fl.oz. (500 ml) of olive oil. After that, you can order whatever quantities you would like from our Online Store, and we will make sure that the olive oil we sent you is from your personal olive tree. Why is the olive oil packed in cans? Two main reasons: Firstly, our own special hermetically sealed can is an innovative scientific development that enables us to preserve the oil, so that it reaches your home as fresh as on the day the olives were harvested and the oil extracted by pressing. This is certainly a special gastronomic experience. Secondly, we are environmentally conscious and are sure that you and your family are as well. The natural materials used to make the can in which we store your oil are 100% recyclable, and can be recycled again and again. On the other hand, glass bottles are not only environmentally unfriendly but they also require 20 times more energy (!!!) to recycle than our cans. Moreover, recycling glass releases toxic gases, which does not happen when recycling tin. Your Joining Package contains a can of olive oil and two refillable glass bottles, that we hope you will re-use many times. It is easy to pour the oil from the can we send you into the glass bottles, so you will not have to dispose glass bottles in the garbage, which as we know is one of the main factors in environmental pollution. How will I know how much oil from my tree I should buy for my family each year? The demand for high quality olive oil – such as the oil extracted from your tree – is increasing each year, due to the dramatic rise in global awareness of the health benefits of regular consumption of olive oil. The average European or North American individual currently consumes about 34 fl.oz. (1 liter) of olive oil a year and this is constantly rising. So for example if you are a family of four, you should buy about a gallon (4 liters) of olive oil from your tree each year. Should I consume the olive oil from my tree as soon as I receive it? Will it spoil? Not at all! Note that the can is stamped with the expiry date, which is usually one or two years from the date you receive the oil, so that you are not limited when to use the oil. I try to keep to a Mediterranean diet. Is my olive oil suitable for this diet? In four words: There is nothing better! The quality of the oil produced from your olive tree is of the highest possible standard, which is why your oil is FDA approved, and holds the Quality Seal of Approval from the Israeli Ministry of Agriculture, as stamped on our olive oil products. The oils we produce at our olive press, including the oil from your tree, have won first prize in quality competitions all over the world, and are recommended by many nutritionists. How does the price I pay for olive oil from my tree in Israel compare with prices of olive oil in my local supermarket? The price of our olive oil is far less: In recent years there has been growing awareness that the price of olive oil is a function of its quality. Unlike soda water, for example, where there’s hardly any difference in quality between manufacturers, with olive oil (thanks to the enormous potential of its nutritional components) there are different standards of quality. We can compare it to the automobile market, where the price of a poor quality vehicle is very different from that of a premium vehicle, as you know. The oil we produce using the olives from your tree is one of the best in the world, as you can see from the numerous Grand Prestige Gold Medals we have won at international competitions over the years. So to go back to our previous illustration, the oil from your tree is the “Rolls Royce” of olive oils, but you pay the equivalent of a medium price, even when you add in the cost of shipping the oil from Israel to your home. Not only that: As our Partner, you can buy your oil from our on-line store with an average discount of 25% on the displayed prices, and each purchase of olive oil entitles you to a partial refund of the cost of the Joining Package you purchased when you became a Partner. How is the olive oil packaged for shipping from Israel to my home? All of our olive oils are shipped in specialty packaging that ensures safe delivery. Must I buy all the oil produced from my tree each year? Not at all! It is true that most of our Partners do buy all or most of the oil produced from their tree each year, but you can purchase whatever amount you wish. There is no pressure whatsoever. In fact, the quality of the olive oil is so high that if you do not buy it during the year following the harvest, it can be quickly sold through our online store to others who eagerly wait to buy any surplus production. 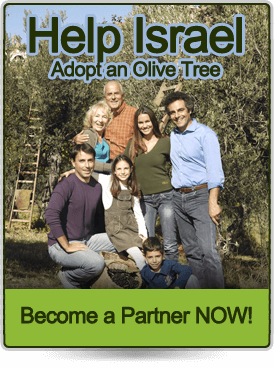 How can I become a Partner of the Israel Olive Bond? By Ordering Here the Joining Package, that is shipped directly from Israel to your home. What does the Joining Package include? How do you use the proceeds from my Joining Package? Some of the money covers the cost of producing the elegant joining Package that is sent to your home, and includes the many items Specified Here. The rest is distributed on your behalf to seven charitable organizations in Israel that we support. For details, Follow this Link. The whole price you pay for the joining Package, including the donations and the shipping costs, are fully refunded to you as you purchase the olive oil produced from your tree or the biblical food through our Online Store. I understand that I am fully reimbursed for the cost of the Joining Package. How is this done? You are right! Every time you purchase some of the olive oil from your tree or the biblical food through our Online Store, you are reimbursed for part of the Joining Package payment (including the cost of shipping from Israel to your home), until the whole payment has been refunded. How long do I remain a Partner? Your membership as a Partner in the Israel Olive Bond is everlasting. Apart from payment for the Joining Package, will I be committed for further payments? Not only are no further payments required to maintain your membership, but you are even reimbursed for the cost of the Joining Package when you purchase olive oil produced from the fruit of your personal tree or when you purchase some of the many Biblical food products featured in our Online Shopping Mall. What is the meaning of the numbers shown on the map of the olive grove that I received in the Joining Package? This is a unique number that identifies the olive tree you have adopted. This number consists of the organization’s three initials, followed by three numbers indicating the row where your tree is located, and three more numbers indicating the number of tree in the row, and 2 closing letters. Can I purchase more than one Joining Package? If I purchase a number of Joining Packages, do I get another personal tree with each Package? Exactly! 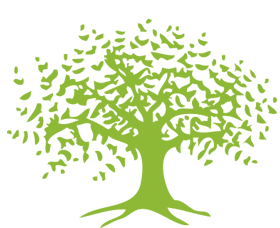 Along with other items, each Joining Package includes documents relating to your specific olive tree in the grove, and each Package refers to a different tree. If I purchase, say, 10 Joining Packages to give as gifts, will the trees allocated to me be in one grove, next to each other? Yes, if you buy all the Packages together in one order, you will be allocated trees that are next to each other in the grove. I received from one of your Partners a promotion code for purchasing a Joining Package. How can I use it? Towards the end of the process of registering as a Partner by Ordering a Joining Package Here you will be asked to enter the promotion code that entitles you to a discount on the payment. Will I get any confirmation from you when I purchase my Joining Package online? Of course, for every purchase you make through our Online Shopping Mall, whether Joining Package or your further purchases of Biblical food products, you will receive immediate confirmation on your computer screen, followed by a detailed email containing full details of the purchase, your payment, and a receipt. Therefore, in order to ensure that you receive this confirmation email and receipt (and any other emails in future) it is important that, when you see the purchase confirmation on your screen, you follow the simple instructions to make sure these messages reach your inbox. Is it secure to pay by credit card? Certainly. you can pay via PayPal, which is the safest payment system in the world or via your own Credit Card company. Do you store the details of my credit card? No! Your card details are not known to us, so we cannot save them on our computers. When you make the payment, PayPal (or your Credit Card Company) sends us a code that confirms your payment and then we ship the order to you. I have a PayPal account. Can I use it to make payments? Of course, at the Checkout stage once you have placed your order you can choose to pay by credit card in PayPal’s Processing system or by your PayPal account. What name will I see on my monthly credit card statements for this charge? Why was my credit card payment rejected? Perhaps you made a mistake when entering your credit card details (name and/or address) at the Checkout stage. Check and try again. Do you accept payment in Bitcoins? At Israel Olive Bond we respect your privacy and take it very seriously. The limited information of your name & address you give us at the time of registration (so we can ship you your packages) are held in strict confidence, and we will never ever share it with anyone outside our organization, or sell it to anyone. As for your credit card / PayPal details – your private information is completely safe, as we do not even know your details, so we cannot save them on our computers: when you make a payment, the Credit Card company or PayPal (depending on the type of payment) only sends us a code that confirms your payment . Therefore, in order to ensure that you receive this confirmation and receipt (and any other emails in future) it is important that, when you see the purchase confirmation on your screen, you follow the simple instructions to make sure these messages reach your inbox. We ship our joining Packages, as well as our other olive oil products, from Israel to anywhere in the world, except Arab countries. Can you ship to PO boxes, FPO or APO boxes? Sorry, no, we can only ship to residential or business addresses. How long will it take for my Joining Package to reach my home? Every order is handled at our Logistics Center within 48 hours, and we send all orders by express, registered air freight. Most of our Partners receive their Packages within 21 business days from the date of shipment, and when your order is shipped we will notify you by an email with the details of your shipment. If your package was not received within 30 days from the date of your order – please contact us with no hesitation by emailing Rachel at our Logistic Center sales@IsraelOliveBond.com or simply give us a call to one of our telephone numbers can be found here, under the CONTACT US BY PHONE section there. Do you provide a courier delivery service like FedEx, UPS etc.? We will soon be adding these services, although our own survey among our Partners has found, taking into account the high cost of courier services, that most of our Partners prefer to receive their deliveries in the normal way, which is express, registered air freight. How is the Joining packaged packed for shipment from Israel to my home? All of our packages are shipped in specialty packaging that ensures safe delivery. Your Joining Package is supplied in an elegant gift package, inserted into a high quality mailing box. Is the Joining Package sent to me by registered mail? If for any reason you are not satisfied with any of our products – you will get a full refund of the price plus the shipping cost you have paid, no questions asked. Moreover, In case you ordered our Joining Package and in purpose of thanking you for your generous consideration of joining us as a Partner, you can keep all the Joining package items; send us back only the original box with the olive oil products, the membership certificate and the tree map, the rest is yours to keep as a token of our appreciation. I want to buy a joining package as a gift to my grandmother who lives in another town. Can you send the joining package directly to her? In most cases, the recipients of a gift in the form of a joining package would prefer to receive the package directly from the donor of the gift, that is, from you. Therefore the package will be sent to your home, and you will present it directly or send it to your loved ones as you wish. Will you notify me when the delivery leaves your Logistics Center in Israel on its way to me? Certainly, on the day it is shipped you will receive an email from us with details of the delivery. Do I have to pay any customs duty when I receive the goods from Israel? All our products are exempt from customs duties, and in fact we have never come across a country that charges customs duties for our products. If regulations should change in your country and you are asked to pay any customs duties, please let Rachel at our PRODUCTS / ORDERS division know about this (by email to sales@israelolivebond.com) and we will compensate you for any expenses you incur. Do the products come from Israel directly to my home or will I have to collect them from a local depot? When we ship the products to you we pay the full cost of delivery right to your door. If the product fails to reach your home for any reason and you are asked to collect it from a local depot – please let Rachel at our PRODUCTS / ORDERS division know about this (by email to sales@israelolivebond.com) and we will compensate you for this inconvenient. How can I obtain confirmation that my activation process has completed successfully? At the end of the activation process you will see a message on your computer screen confirming that the action has completed successfully. 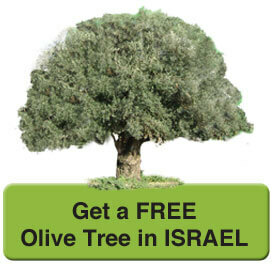 When you join our program, you are allocated an olive tree in one of our groves in Israel, as selected by you. You will then be able to purchase olive oil produced from the fruit of your adopted tree. Among the items in the joining package that we will send to your home you will find a map describing the grove where your tree is located, with a verbal description of the exact location of your adopted tree (row number and tree number in the row), plus an illustration of the place and your personal olive tree code number. When you receive the package, you must activate your tree without delay, by entering its code number on the activation page on our website. Once your adopted tree is activated as described here, it will be officially registered under your name in the Grove’s Estate Book. Following this registration, you will become a full Partner, and benefit from the many rights granted to our Partners, such as participation in a monthly draw for a free trip to Israel, significant discounts on future purchases of olive oil and other products made from your tree, plus discounts for any purchases of Biblical foods you will order from our Online Shopping Mall. Reimbursement of your payment for the joining package, a periodic newsletter with updates about the development of your tree in the grove, and many more attractive benefits, due to you as a Partner. How do I activate my tree? Activation is done on our Tree Activation Page by entering the serial number located on the map certificate, please go to our Tree Activation page and follow the instructions there. What happens if I don't activate my tree? 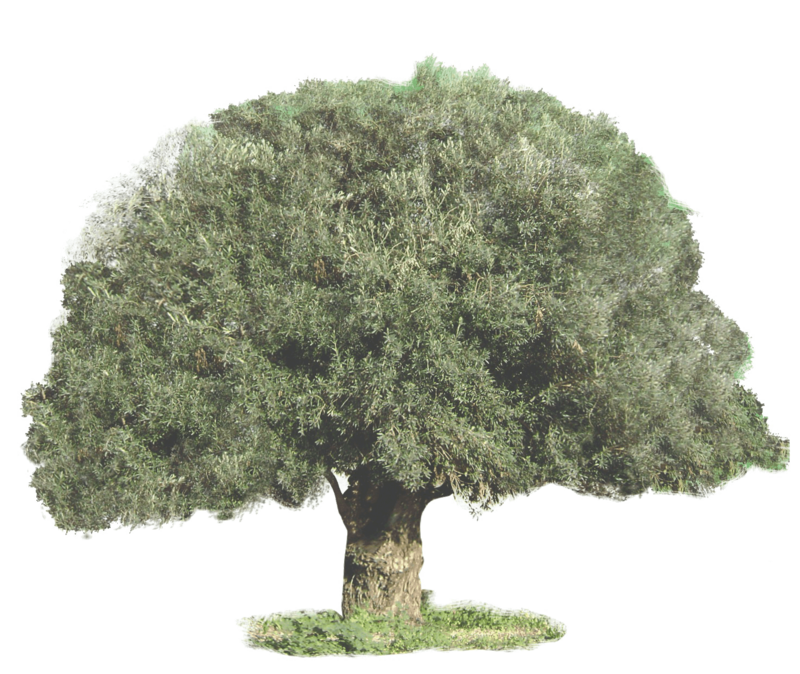 If you fail to activate your tree as requested you will lose the personal olive tree allocated to you, and it will return to the pool of trees in that grove and be allocated to another Partner who joins our program. Also, if you fail to activate your tree you will be unable to benefit from the many rights granted to our Partners, such as the monthly draw for a free trip to Israel, significant discounts on future purchases of olive oil and other products from your tree, plus discounts for any purchases of Biblical foods you will order from our Online Shopping Mall. refund of your payment for the joining package, the periodic newsletter with updates about your tree, and many more other attractive benefits due to you as a Partner in the IOB program. How long after receiving the joining package should I activate my tree? You must Activate your Olive Tree immediately after receiving the joining package. If I have purchased a number of joining packages simultaneously and therefore adopted a number of trees, how do I activate them all? 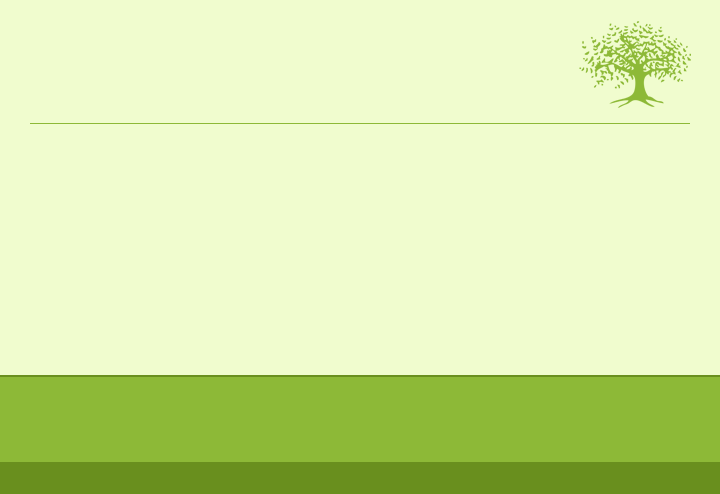 In the Activation Page on the website you will find instructions for activating a number of trees that were purchased together. If I have purchased a number of joining packages and some of them are intended as gifts for others, should I also activate the trees for the gift packages? No, the adopted olive tree should be activated only by the person defined as the adopter of the tree, and since you are giving the joining package to another person as a gift, the recipient is the actual adopter of the olive tree in Israel, and he must do the activation himself. You will only activate the tree whose details are given in the joining package you purchase for yourself. If in addition to your own joining package, you have purchased additional packages for adult members of your family who live with you in your home, they should activate their own trees, and if they are too young to do this, only then will you do the activation for them. We here in Israel are fulfilling the ancient Jewish saying, that “all Israel are guarantors to one another” and are aware of the growing needs of aid organizations in this country. We can help all these needy groups in Israel thanks to you, and this is beside our activity with the olive tree agricultural sector. 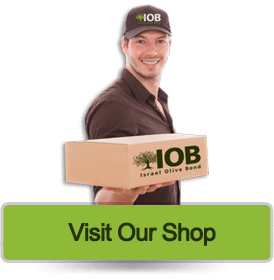 When you become a Partner of the Israel Olive Bond (IOB) program and purchase the Joining Package as well as when you make purchases of Biblical foods on our Online Shopping Mall. – part of your Joining Package fee is distributed among seven different welfare organizations in Israel. Can I make an additional contribution to these welfare organizations separately from the contribution made through my Israel Olive Bond joining fee? Certainly, and we’ll be happy to put you in touch with them. Please contact Daniel at our Donation Department at: Donation@IsraelOliveBond.com for assistance, and may God bless you for your support. Am I charged anything for registering for your periodic magazine? Certainly not! Registering for the magazine is entirely free of charge, this is a gift to you worth of $13.20 per year. What does the Israel Digest Magazine contain? Some of the best writers, researchers and editors in Israel have joined forces with us to create Israel Digest. Each issue of the magazine contains the latest intriguing articles written by our staff, producing a periodical which is considered the best e-Magazine about the land of the Bible. How can I win a free trip to Israel when I register for the Magazine? When you Register for Free to receive the Magazine your name is added to our email list, along with the names and email addresses of everyone who is signed up for our Magazine. Each month, our computer automatically and randomly selects the names of the winners of a free trip to Israel. You will be notified of your win by an SMS message to your Mobile phone number supplied by you sat time of registration to the Israel Digest Magazine. After getting the SMS message from us we will contact you to arrange details of your trip. When I register for the Magazine, do I automatically become a Member/ Partner of the Organization? No. Partners are only those who have joined by purchasing the Joining Package, which you can order and have sent to your home. If I first register for the Magazine, then decide to join as a Partner, will I continue to receive the Magazine? Certainly! As a Partner you will continue to receive our Magazine, along with the many other benefits of joining. How can I join the Israel Digest Magazine? Can I buy products in the Online Shopping Mall even if I am not a Partner in the Israel Olive Bond? Yes – and no! You can buy products in our store only if there are any surpluses remaining after our Partners have made their own purchases. Also, the price our Partners pay for our olive oil products is significantly lower than the official price of the products in the store that you will have to pay if you are not a Partner. So now you know all this, why not join us? Join here and you will receive a full refund for the cost of your Joining Kit, plus a 25 percent discount on all your purchases from our Online Shopping Mall. Please Join Now! When I purchase olive oil from the online store, how can I get a refund for the cost of my Joining Package? Each time you visit our online store and make a purchase of your olive oil, we reimburse you with part of your joining fee before checkout, up to the full fee you paid, including the shipping cost of sending the Joining Package from Israel to your home. When I purchase olive oil from your online store, how do you know to send me the oil from my own tree? When you start purchasing olive oil from our Online Shopping Mall, you will notice that at the end of the purchase process you are asked to enter the number of your tree, as it appears at the top of the grove map you received. This unique number enables us to locate your tree, and also to refund part of the purchase price of your Joining Package. I have noticed that sometimes products in the online store are not available to purchase. Why? This is good news for us and it means that our Partners have quickly purchased all the oil produced from their own olive trees, and no surpluses remain for sale. If you do not buy all the oil from your tree within ten months of the harvest date as notified to you, the rest is freely sold in the store, so you may indeed come to the store at a stage when the whole stock has been sold, including the oil from your tree that you did not purchase within the time specified. In that case, you will have to wait until we notify you of a new stock of olive oil, including oil produced from the fruit of your personal tree, which will be after the next harvest in the grove. When I Buy Olive Oil Products and other biblical food products from your Online Shopping Mall, Do I Pay the Normal Price? Certainly not. You pay the significantly reduced price reserved only for partners in the program. This is in addition to the refund of your joining package cost you are entitled to, which will be reimbursed to you when you start to make online purchases of olive oil from your tree and other biblical food. What's unique about your Online Shopping Mall? All the food products featured in our Online Shopping Mall have Biblical associations – that is, they are mentioned in the Bible. Not only that, all these products are made in Israel using the fruits of Jewish farmers, most of them in Galilee, or small Israeli manufacturers of high quality food items. Our objective in the Online Mall is to help these small food producers in their war against boycotts imposed by anti-Semitic BDS organizations, which harm their efforts to export their products. When you purchase Biblical food items in our Online Shopping Mall you are also contributing to the continuation of Jewish agriculture in Israel. How much do the Biblical food products displayed in your Online Mall cost? We ship the products directly from the Jewish farmer/ food manufacturer in Israel to your home, and in this way we avoid many of the normal costs of import that increase the end price of the items (importer, storage, marketer, wholesaler, distributor, retailer) and manage to bring to your home high quality Israeli food products at a price close to what you pay for similar high quality products in your local supermarket. Are the products in your Online Shopping Mall kosher? Of course, all the products we market are certified as kosher. All our products are exempt from customs duties, and in fact we have never come across a country that charges customs duties for our food products. If regulations should change in your country and you are asked to pay any customs duties, please let our PRODUCTS / ORDERS division know about this by emailing us at sales@IsraelOliveBond.com and we will compensate you for any expenses you incur. When we ship the products to you we pay the full cost of delivery right to your door. If the product fails to reach your home for any reason and you are asked to collect it from a local depot – please let us know as soon as possible by email to sales@israelolivebond.com and we will compensate you for any expenses you incur. If I forget my tree code number, how will I be able to benefit at Checkout from the refund and discounts due to me as a Partner? No problem: if you forget your personal tree number, simply enter the email address you used when joining on the Checkout page and your tree number will be displayed instantly. When you enter your tree number on the Purchases Checkout page you will receive a refund of part of your Joining Kit fee plus a discount on the prices due to you, as a Partner. I bought a number of Joining Kits for myself and members of my family. At the Online Shopping Mall Checkout, which of the tree numbers I have should I enter to obtain my discount? Any of the code numbers for any of the trees you have purchased entitle you to a discount on products from the Online Mall, in addition to the refund of part of the cost of your Joining Kit. How does the draw take place? Each month we collect the names of all the members of our program worldwide and randomly draw one name of a member who wins a free trip to Israel. Do I participate in the draw for a trip to Israel once only or every month? This is not a one-time draw. Your name is added to the monthly draw as long as you’re a partner in our program or a subscriber to our newsletter. So if you don’t win the draw one month, you continue to participate in the following month, and so on, until perhaps you will be the lucky winner of a free trip to Israel. If I adopt a number of trees, does my name go into the monthly draw several times? Yes, each tree that you adopt grants you one ticket in the monthly draw for a free trip to Israel. For example, if you purchase 5 joining packages and in that way adopt 5 trees – you have 5 tickets in your name in the monthly draw. If I have purchased a number of joining packages, do I also get draw tickets for the packages that I intend to give as gifts? No, only the ultimate adopter of the tree participates in the draw. You participate in the draw for the olive trees you personally adopt, and the recipient of the gift will participate for the tree that he himself adopts, thanks to your generous gift. How will I know if I win the draw? As soon as the monthly draw is made, if you are the lucky winner we will send an SMS to your cell phone with all the instructions. Therefore it is so important to add your personal cell phone number during the registration process. I joined as a subscriber to your magazine, and in the near future I intend to join as a partner. Do I not participate in the draw until I am a partner? No, the draw is also intended for everyone who subscribes to our free magazine. What does the free trip to Israel include? One free flight ticket to Israel in economy class from the airport nearest to your home, a welcome at the airport in Israel and transfer to a 5 star hotel where you will stay 6 nights on bed and breakfast basis, assistance with the various arrangements for your visit, and a day trip from your hotel to the grove where your tree is located, and to your actual tree. If I want to bring my spouse with me on my free trip to Israel, how can I do that? We will put you in touch with the tourism company that handles our trips to Israel and they will take care of all your extra needs. During my free trip to Israel, can I visit my adopted tree? Certainly, we will be delighted to host you. We will collect you from your hotel, take you to the grove, locate your tree and visit it, and then return you to your hotel. What is the Fee Reimbursement program? It’s very simple! When you start to make online purchases of biblical food and olive oil and other products of your olive tree in the grove in Israel, you will be reimbursed the fee you paid for the joining package when you joined the program as a partner. How is the reimbursement actually done? Whenever you make a purchase of biblical food or olive oil and its products from our on-line store, just before checkout you enter the number of your tree as shown on the joining certificate you receive from us, and our system automatically knows to deduct part of the joining package fee from the amount you pay on leaving the store, until your joining fee has been fully reimbursed. Am I reimbursed only for the joining fee I paid, or also for the cost of sending the joining package from Israel to my home? Reimbursement refers to the total amount you paid, for the joining package itself and also for the cost of sending the package from Israel to your home. I purchased a joining package and gave it as a gift to a friend. Which of us receives reimbursement for the cost of this gift when making purchases on-line? The recipient of the gift will benefit from the reimbursement when making on-line purchase. In fact, you are giving your friend a double gift – the joining package to become a partner in this important project, and also a discount on the olive oil products of his adopted tree in Israel that your friend purchases on-line, thanks to your generosity.